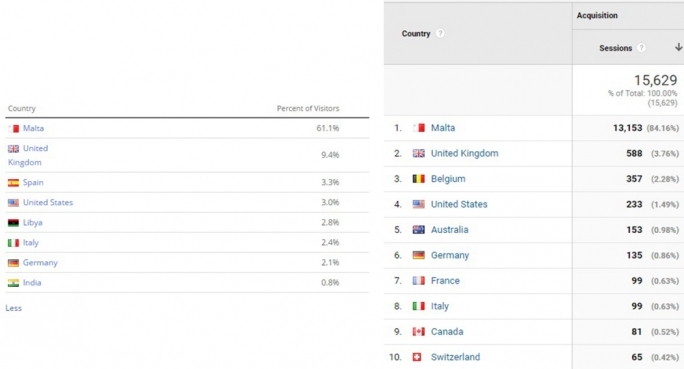 Okay, we’re second to the Times of Malta globally but we are really proud of that! Bragging rights aside, being Malta’s favourite independent news site is an honour because providing quality, unadulterated journalism is what we live for. Without our loyal readers, we couldn’t uncover and write the stories that we write for you. 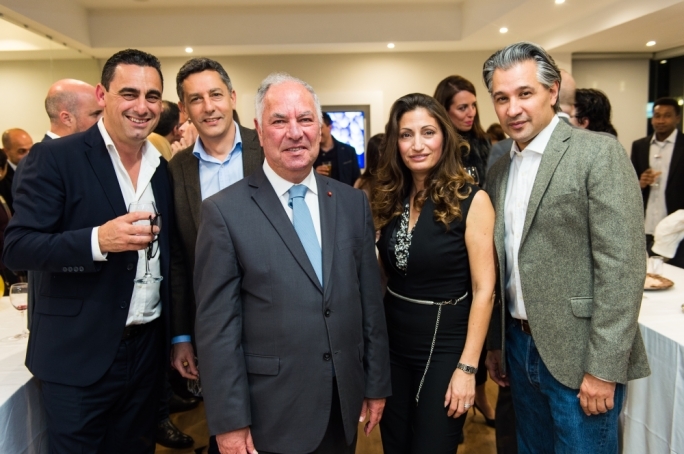 Since our birth in 1999, MaltaToday has been established as the first point of reference on political news, environmental reports, property rights and land use, hunting, and the championing of civil liberties. We are a trusted and established source of major news stories. As the island’s most persistent investigative journalists, we know the importance of looking at situations with a holistic approach. When it comes to the matter of judging a website’s popularity, even this must be looked at holistically. Trusted metric systems like Google Analytics must be used to gather accurate data. Of course multiple sources should be referenced to understand the full flow of traffic and engagement to accurately judge a website’s rank. In the world of publishers, there is a sort of double-edged sword named Alexa. If you have a good ranking with Alexa, you are rewarded but if your ranking drops, the situation backstabs. What is Alexa and why do some analysts debunk the reputability of Alexa as a sole measure of a website’s popularity? First of all, Alexa (an Amazon.com company) gets its rankings with a sampling method which they call their global panel. Alexa rankings are based on the traffic from users with the Alexa toolbar installed on their computers. For many publishers, this is baffling because in all honesty, who do you know with the Alexa toolbar installed on their computer? Because of this pressure to establish a certain rank on Alexa, many publishers worldwide turn to Alexa ranking manipulation. It is a fact that Alexa rankings can be manipulated by buying one of the many services available online. There is a certification process where publishers have the option of installing a code on their website to directly measure their data. 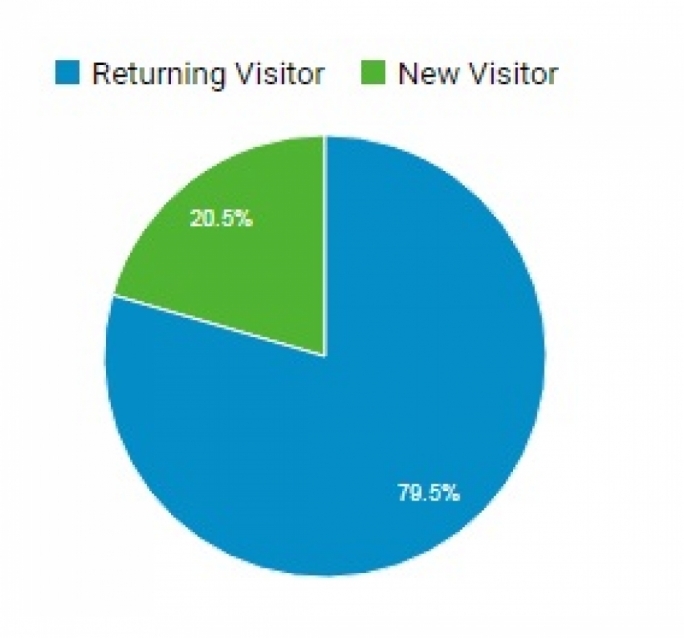 However, this data often significantly differs from the undeniable data from Google Analytics. Having analysed this, can we trust Alexa to legitimately rank our websites? The answer is no. Alexa can give us a sample and one point of reference but not the big picture. 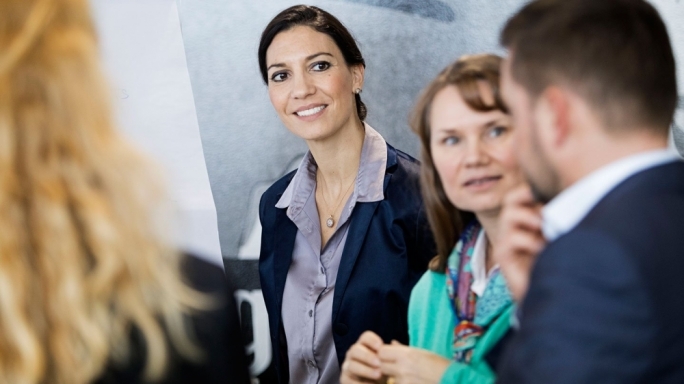 We must use the internationally recognised Google Analytics, Alexa.com’s sample, and the trusted Facebook Insights paired with our other tools. 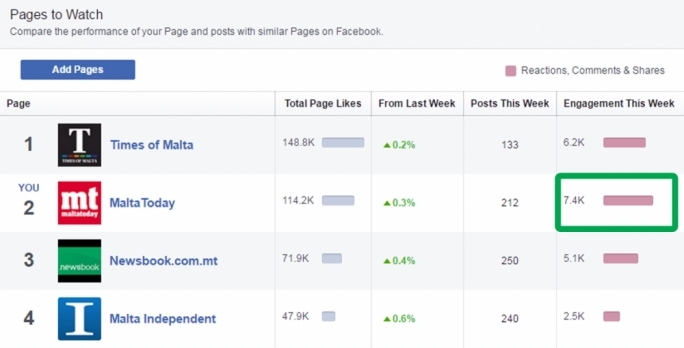 Our articles reach and engage with more people on Facebook than all the other reputable news sites in Malta. 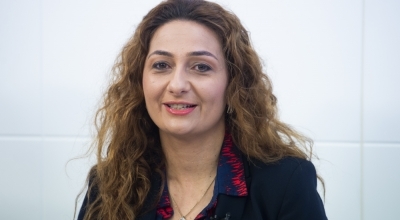 Accoring to ICON’s 2016 Social Media in Malta Study, 99% of Maltese make regular use of at least one social media network. 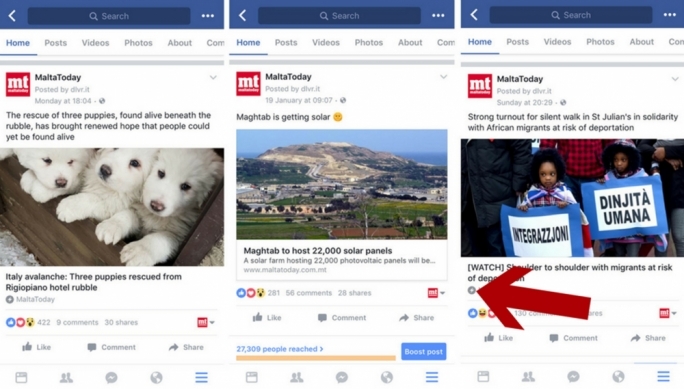 Of course, Facebook is Malta’s favourite at 89%. As readers ourselves, we know how important it is to get the news fast and not to be bothered with slow page loads. 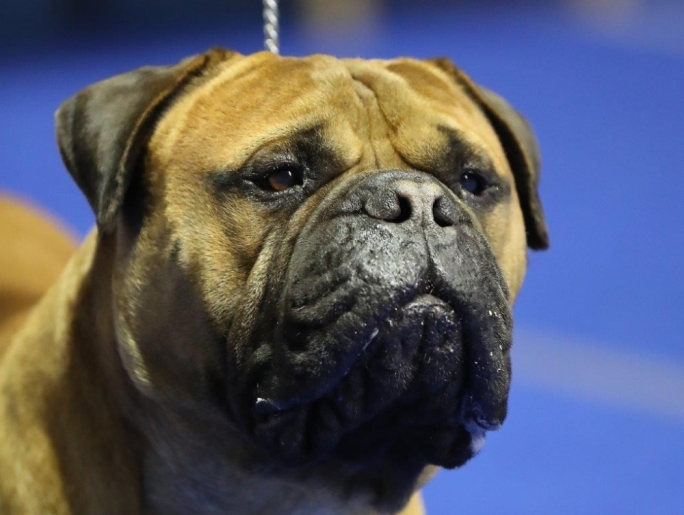 Slow page loads leave readers unhappy and lead to higher bounce rates. That’s why we have introduced Facebook’s Instant Articles – a new Facebook technology that delivers our news in an extremely fast loading reader in Facebook’s mobile app. You can notice Instant Articles in your Mobile Facebook App by the lightning bolt next to the article headline. 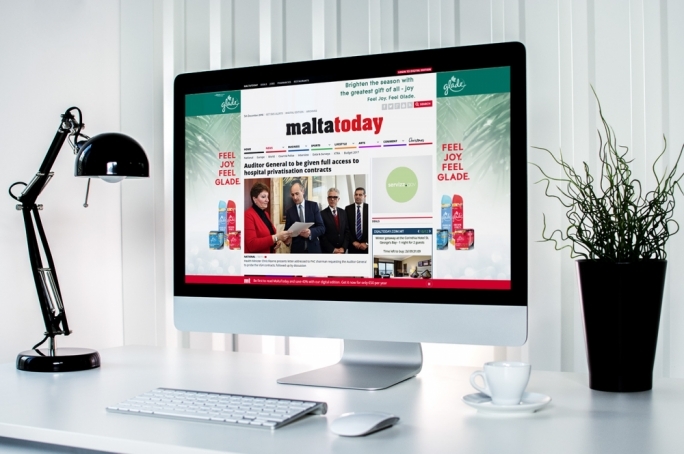 In 2016 MaltaToday had 50,324,955 page views (that averages to 4.2 million monthly page views) amongst 3,112,874 users (that’s 260K monthly users). Our users didn’t just stay for one article either, they stayed for three and a half articles. We love that the average time spent on our site is 9 minutes which is much higher than the industry average of 4 minutes. 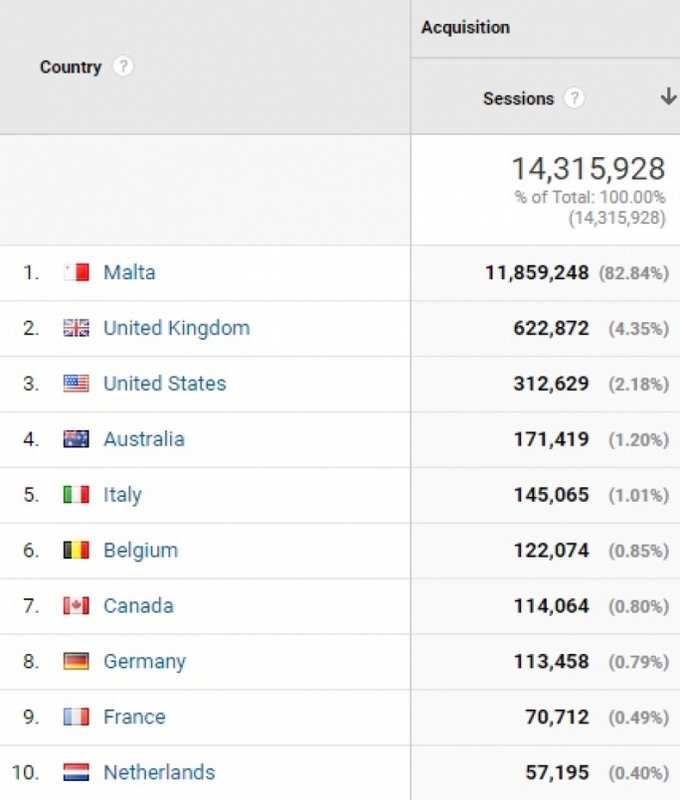 On average 83% of our audience comes from Malta. Readers hold great importance to us and without our advertisers we couldn't provide our stories to our readers.